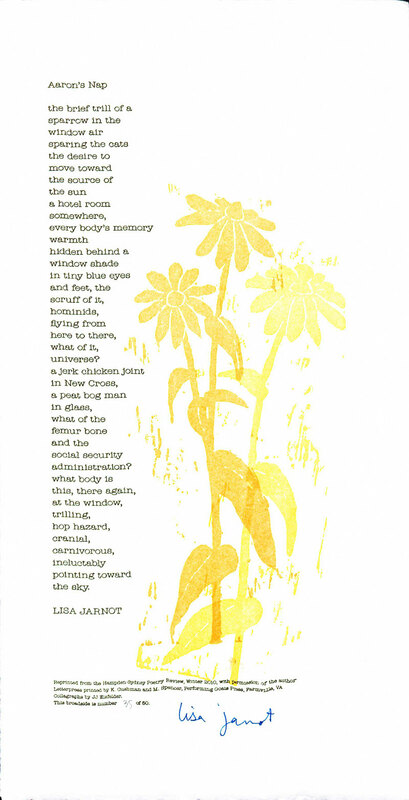 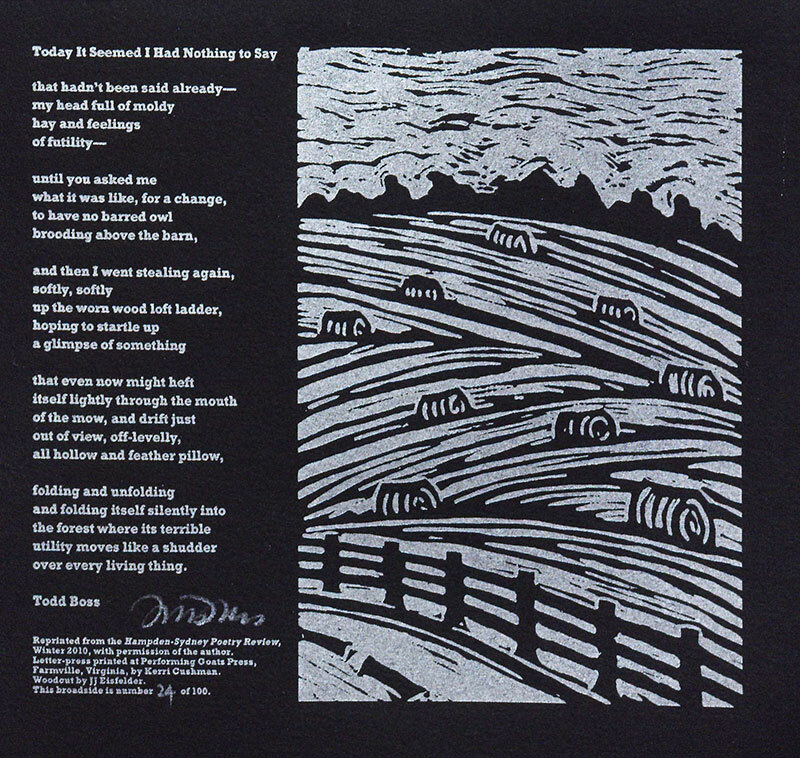 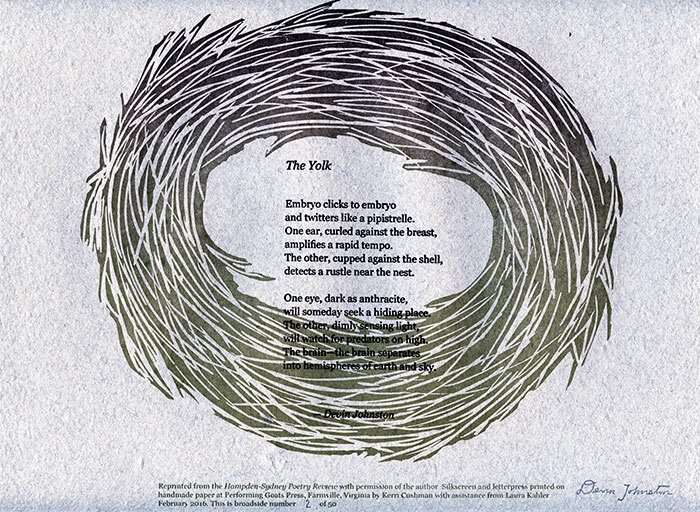 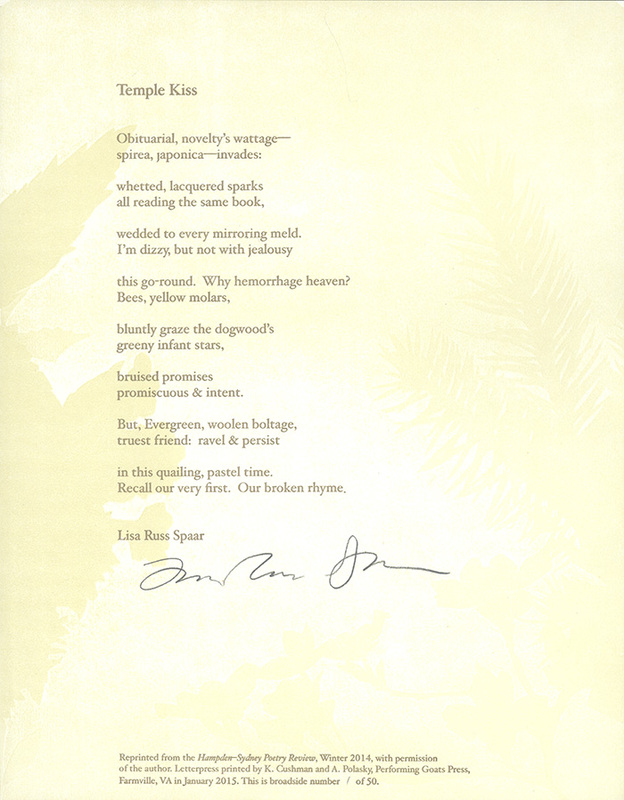 The Hampden-Sydney Poetry Review publishes a series of letterpress limited-edition broadsides. 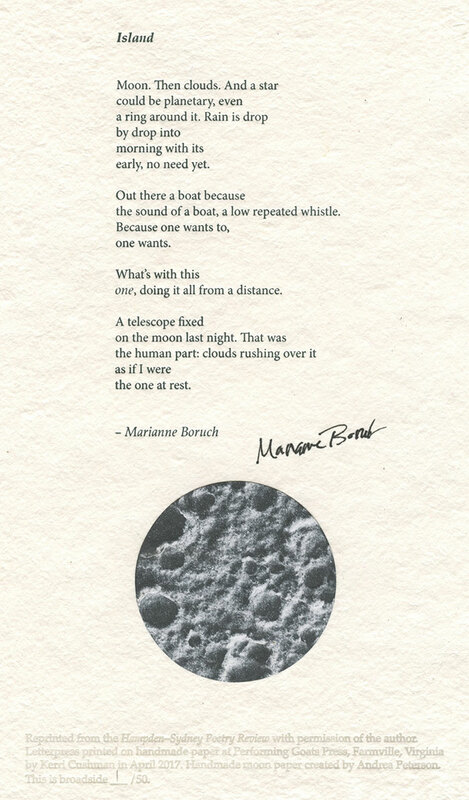 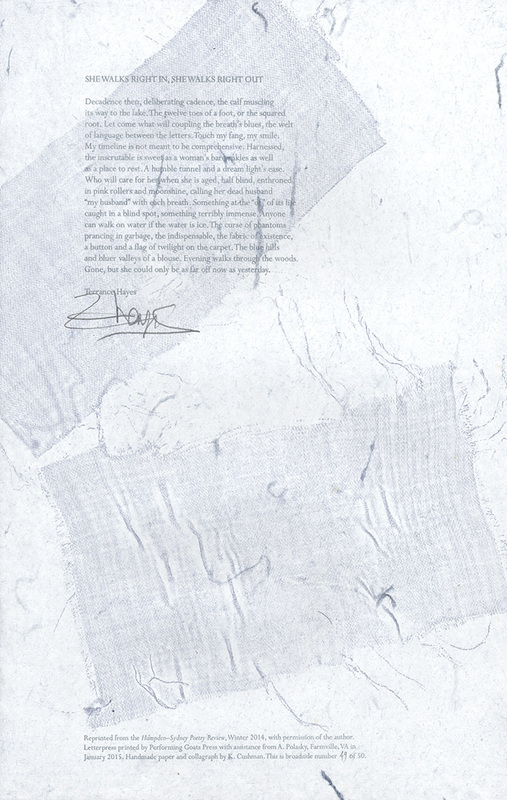 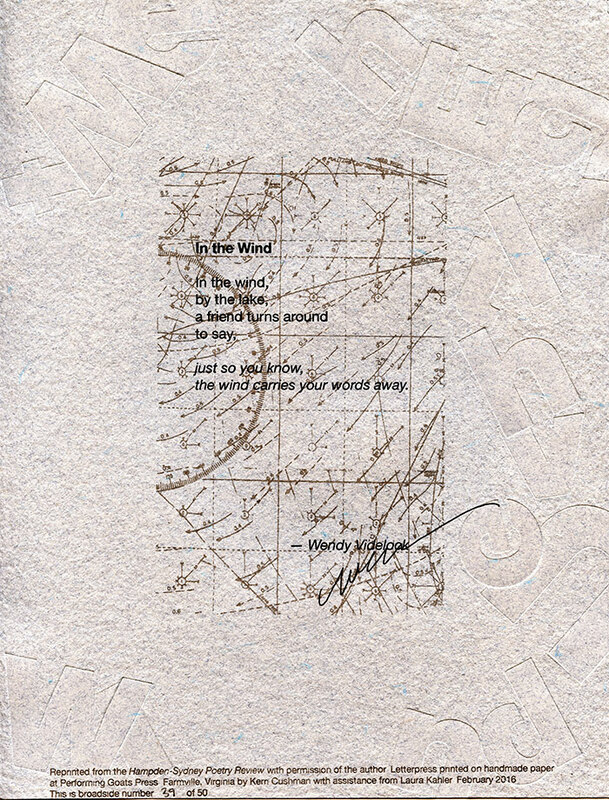 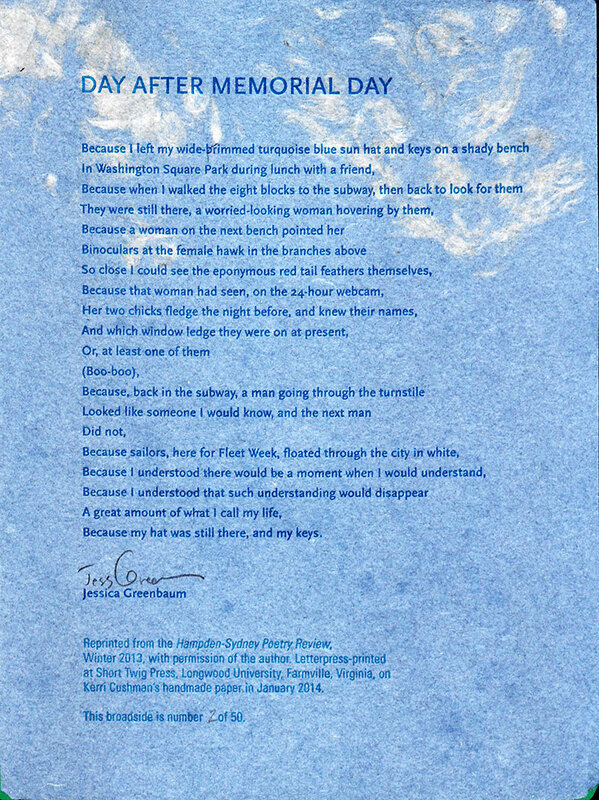 Each broadside is printed by hand and signed by the author. 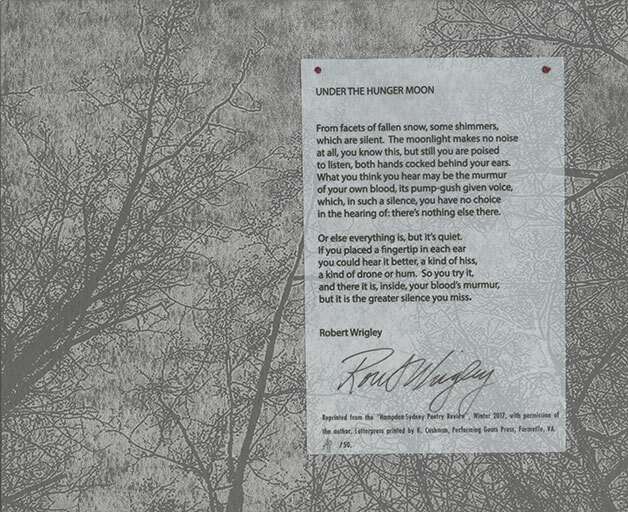 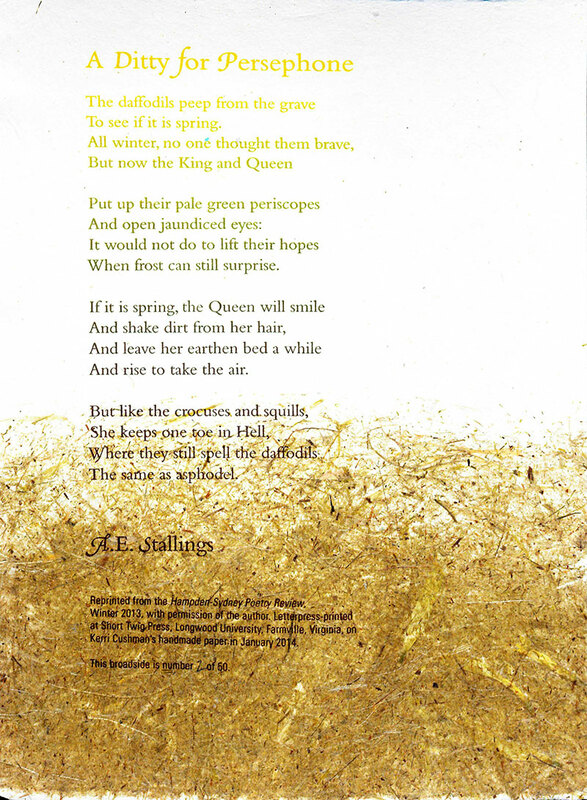 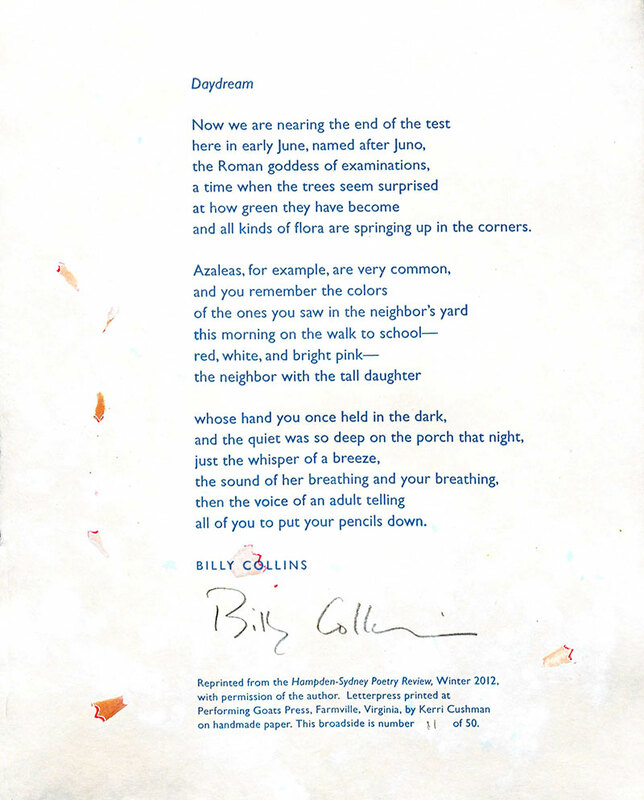 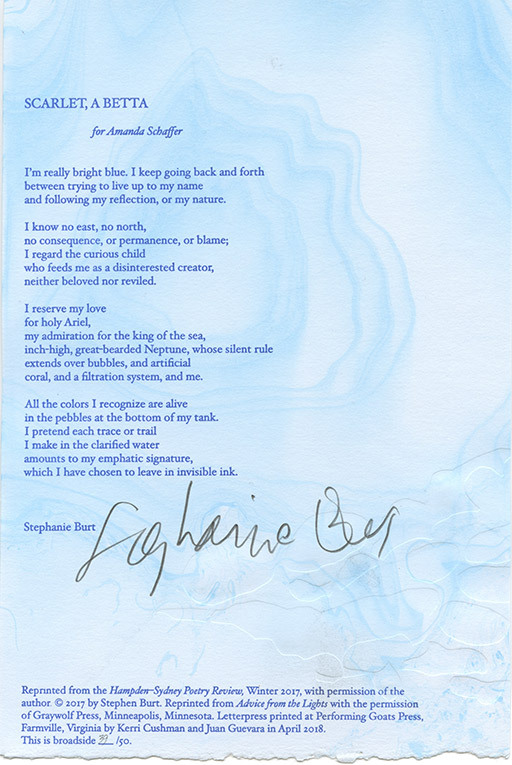 The broadsides are available for purchase through the offices of the Hampden-Sydney Poetry Review. 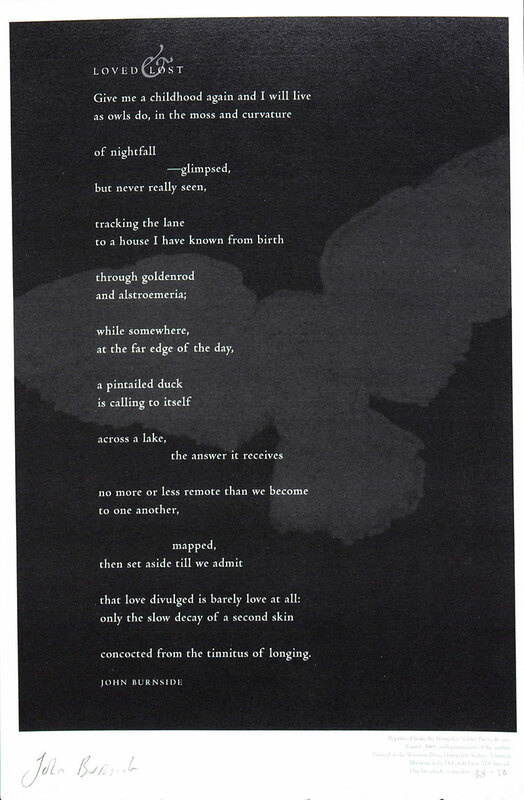 or order through our online storefront. 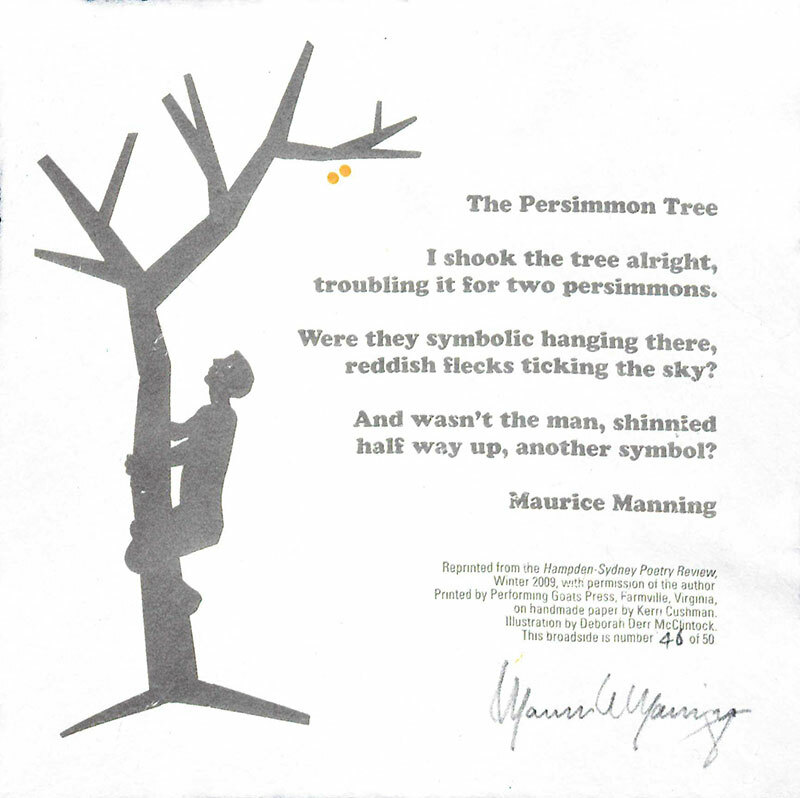 Click on the images below for a close-up look at these one-of-a-kind broadsides.